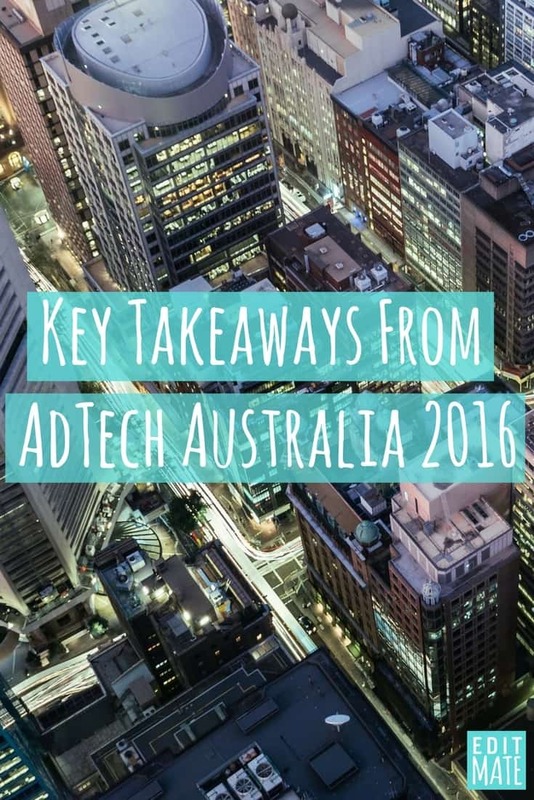 Last week EditMate spent three days in Sydney for Ad:Tech Australia 2016. The marketing innovation conference and exhibition celebrated it’s 10th birthday and I thought I would share some of my personal takeaways, including favourite presenters as well as the the smart + clever new businesses I was introduced to. Video proved to be a major theme of the event. Many exhibitors provided various forms of video solutions and I was happy to see that many presenters included social video as a major contribution to their success. 1. KATHRYN FRIEDRICH (Head of Global Content Commercialisation at YouTube) spoke about evolving from commercials to content. Key Takeaways: The Fundamentals of Engaging Audiences: Shareability, Discoverability, Accessibility, Collaboration, Conversational, Interactivity, Consistency, Target, Sustainability + Authenticity. 2. SIR RAY AVERY (Scientist, Inventor + Social Entrepreneur) gave a charming and curse-filled talk about the importance of providing customer solutions, not products and noted that “there’s not one person in this room that’s more powerful than all of us” — and that’s why crowdfunding works. 3. JULIA WHITING (Regional Advertising Director in Asia Pacific for the New York Times) gave a rich and beautifully designed presentation on native advertising and storytelling through video content. Key Takeaways: Julia shared the importance of “authenticity” in advertising (which was reiterated by Kathryn Friedrich, Jules Lund, Elise Strachan and others) and how it’s a major focus for T-Brand Studios, the in-house native ad unit which produces their content. 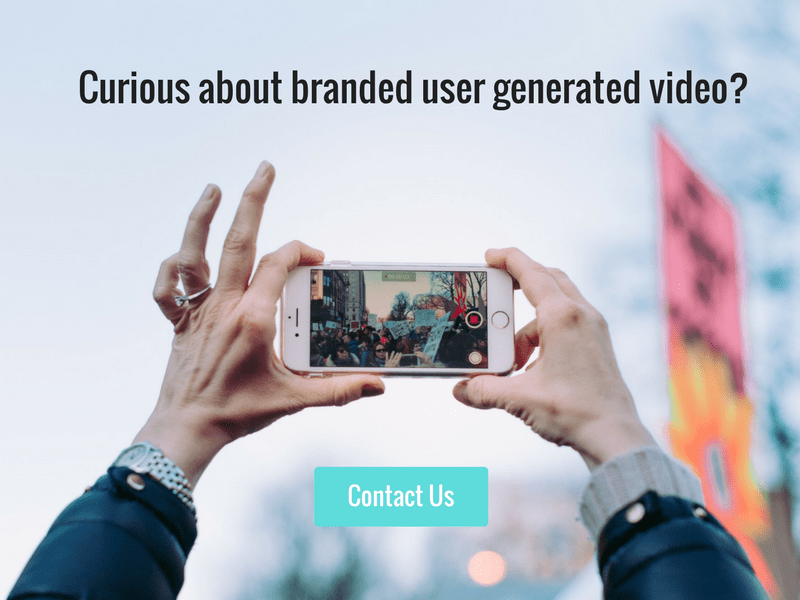 T-Brand Studios has really upped the standard for native advertising and I definitely recommend checking out their Vimeo channel for video inspiration. 4. JULES LUND (Founder of Tribe) had a super interesting 1-on-1 with Chris Rhys (of Digerati Magazine), in which they discussed the evolution and merits of the social influencer explosion. Tribe provides a platform for brands to directly connect with influencers for social media marketing campaigns. Influencers = those Instagrammers with a massive following who are giving shout outs and providing links to brands and products. Key Takeaways: An influencer’s followers end up regulating the service, as they make it known (i.e. they complain) when a brand sponsorship isn’t an organic fit and seems forced. So authenticity is wildly important. He also showed stats noting that influencers with less followers (2K vs. 100K) actually have a more engaged following. 5. RYAN BONNICI (Marketing Director at HubSpot) discussed content marketing trends, how you can outsmart (rather than outspend) your competitors AND provided super useful tips and resources. Check out his slides here. Key Takeaways: Make sure your website is running at it’s optimal speed (you can test at website.grader.com) and he also shared some of our already-favourite free online tools: Unsplash.com (for cool stock photos) and sniply.com (an easy way to share content with a call to action). 6. ELISE STRACHAN (CEO of My Cupcake Addiction) showed how she created a BOOMING YouTube baking channel and shared actionable tips + tricks on how to build an audience on YouTube and Facebook. Key Takeaways: For every piece of video content you create, make sure you make different versions that are formatted for each social media channel you share on. For example: 2-5 minutes for YouTube, 1 minute with captions and cut into a square for Facebook and 15 sec teasers for Instagram/Twitter. She also gave the clever tip of how re-packaging your existing content with new titles, tags, and thumbnails can bring in new viewers as your audience grows. She emphasised that with most people viewing videos on mobile devices, you don’t need fancy equipment to create a video that’s likely going to be viewed on a tiny screen — to shoot with whatever camera you have available and just make sure to produce content consistently. I was especially pleased to hear Elise’s insights as they perfectly align with our methodology and ideas at EditMate. She basically closed by saying “if you don’t have a 2016 video content strategy you better get one”. Excuse the shameless plug, but video content strategy and re-cutting videos for social media channels is what we do at EditMate… so it was like music to my ears. Not only did I enjoy the talks and networking (and cocktail hours) at Ad:Tech but I also created a custom app for the event. Ad:Tech by EditMate is the user generated video app that attendees used to upload their videos from the event. Ad:Tech shared these across their social media channels to boost engagement and give everyone following at home a glimpse of the conference. You can check out the video content we edited in real-time on the Twitter and Facebook feeds.